Welcome to Character Graphics, we are litho, digital and large format printing specialists based in Taunton, Somerset opposite the Morrisons supermarket in the town centre. We have been working within the industry for over 35 years and in that time have built up a loyal and happy customer based not just only in Taunton, but also across the country. At CG we take a personal approach to doing business. Our team are all experienced creatives or extensively trained staff with a can do attitude. We maintain the highest standards of service and work with their clients to achieve the best value possible and exceed expectation. No design or print job is too small or too large – we manage print runs from 1 to 100,000 daily from simple business cards and letterheads to glossy colour brochures and bound marketing materials. Our in house designers are happy to discuss and advise on all aspects of your design requirements from simple advice on colour schemes or fonts, to full brochure layouts & corporate branding. Completed quickly, efficiently and cost effectively. With free proofs for orders. 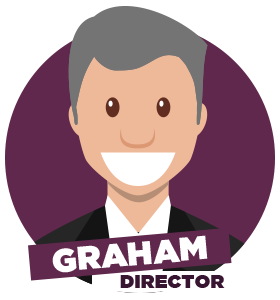 The front of the company and the man you need to talk to regarding all quotes and timescales, Graham has been with Character Graphics for years and recently took over CG in 2016 as the Managing Director. 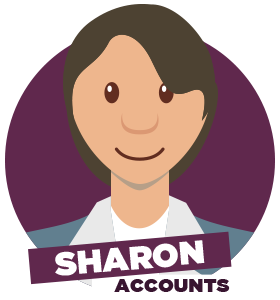 Sharon has recently joined Character Graphic to oversee our accounts, invoicing and ‘purse strings.’ Give her a call or email if you have any queries regarding payment or invoices. 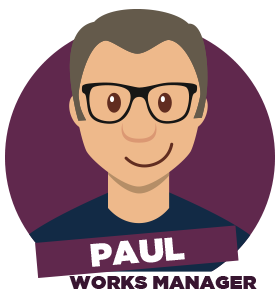 Paul is a Character Graphics veteran! Having started as a finisher for the company he now handles all of your print, speak to him with any questions about your order progress and pre press or finishing information. Martin has been running our presses for aslong as we can remember and is an expert in anything ink! 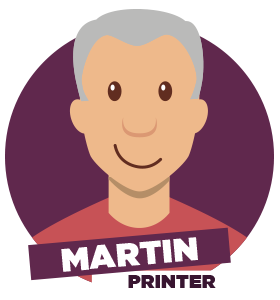 Speak to Martin if you have any questions regarding our printing process or specialist inks. 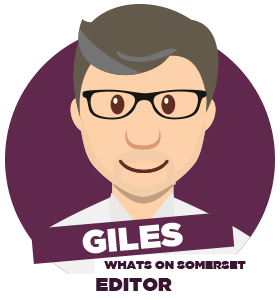 Giles is the man behind What’s on Somerset Magazine, although based out of the office, he regularly pops in for a catch up and proofs of the magazine. Contact him with any enquiries regarding What’s on Somerset. Andy recently joined the team in 2016, He looks after all of our finishing processes and equipment. If you have a finishing job that needs, well finishing! Andy is your man. 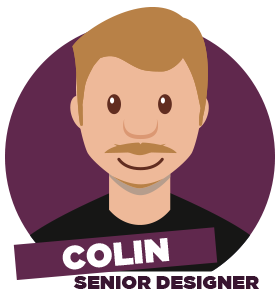 Colin joined us in 2015 from a strong design agency and publishing background. He is our creative force, so give him a call for a quick chat about anything creative. 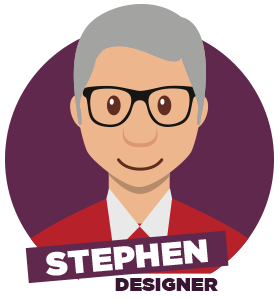 Stephen has been our resident designer for years, looking after our trusted clients and their daily design needs. Pop him an email or call the office if you have any queries regarding your design need.